More than 3.5 billion prescriptions are written annually in the United States, and four out of five patients who visit a physician leave with at least one prescription. Medications are involved in 80 percent of all treatments and impact every aspect of a patient’s life. The two most commonly identified drug therapy problems in patients receiving comprehensive medication management services are: (1) the patient requires additional drug therapy for prevention, synergistic, or palliative care; and (2) the drug dosages need to be titrated to achieve therapeutic levels that reach the intended therapy goals. According to the World Health Organization, adherence to therapy for chronic diseases in developed countries averages 50 percent, and the major consequences of poor adherence to therapies are poor health outcomes and increased health care costs. Drug therapy problems occur every day and add substantial costs to the health care system. Drug-related morbidity and mortality costs exceed $200 billion annually in the U.S., exceeding the amount spent on the medications themselves. 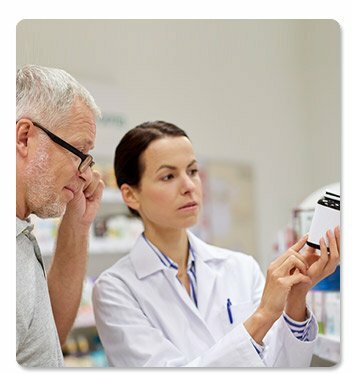 For example, Medicare beneficiaries with multiple chronic illnesses see an average of 13 different physicians, have 50 different prescriptions filled per year, account for 76 percent of all hospital admissions, and are 100 times more likely to have a preventable hospitalization than those with no chronic conditions. The Institute of Medicine noted that while only 10 percent of total health care costs are spent on medications, their ability to control disease and impact overall cost, morbidity, and productivity— when appropriately used—is enormous. Pharmaceuticals are the most common medical intervention, and their potential for both help and harm is enormous. Ensuring that the American people get the most benefit from advances in pharmacology is a critical component of improving the national health care system. AIMM has adopted the CMM model advocated by the Patient-Centered Primary Care Collaborative (PCPCC). The information provided below can be found in the PCPCC’s Resource Guide, “Integrating Comprehensive Medication Management to Optimize Patient Outcomes”.